Blogger Blitz, Round One: Master Xehanort in the Great Baddie Bake Off! As you may or may not be aware, today is the day that I make my competitive debut as part of Adventure Rules’ awesome blogger commmunity event, Blogger Blitz: Black Sheep. I’ve been tasked with representing my main man Master Xehanort (well, I technically just picked ‘Xehanort’, but if you’ve played Kingdom Hearts you’ll be well aware that there are many Xehanorts, all of whom stem in some fashion from lovely-Leonard-Nimoy-voiced Master X) in the Great Baddie Bake Off, a thorny problem which will involve baking a cake while dodging the unwanted advances of a deadly Tonberry. As luck would have it, I hear he did recently have to deal with that exact situation, so I’ve managed to secure an exclusive interview where I’m hoping he’ll tell me all about it. I’m heading off now to the Castle that Never Was to chat with him, and the transcript of the conversation below will be our entry! Good guys always get cake. Whether Mario saves the princess or a cartoon mascot needs an energy boost, cake is always there for the protagonists. But when it comes to villains, the cake is a lie. This event is the opportunity to correct this awful slight. Each villain must bake a cake from start to finish, but the ingredients aren’t just sitting out in the open – its going to take some evil ingenuity to locate milk, eggs, flour, and whatever toppings might be desired for this sweet treat. All the while, a Tonberry slowly approaches, immune to all forms of attack, its butcher knife glinting with wicked anticipation. Can our competitors avoid the Tonberry’s knife while preparing a delicious cake? That’s what they’ll have to prove to the judges in the Great Baddie Bake Off! Quick warning, in case anybody cares: there will be spoilers for pretty much every KH game to this point! I need to give some shout-outs before we can proceed, though: firstly, to Ian, esteemed host of Blogger Blitz and general all-around cool chap. He does a brilliant job and deserves all the love. Speaking of my opponent, she is of course the last person I really must say hello to while I’m at it! Hi, Luna! Over at GamersUnitedGG, Luna does incredible work posting reviews, thought pieces, creative writing challenges and all sorts – and last week she even posted some insight into the mind of her chosen Blitz champion! Is she trying to intimidate me and my man Xehanort? Maybe! Is it working? We’ll see! ‘What is this?’ Master Xehanort asks, already insufferably bored. ‘Well, then. I shall tell all.’ Xehanort furrows his brow, staring intensely at the milkshake, and says nothing. After a few moments, I sigh and hand it over. He slurps loudly, then sets it down. ‘Oh, that 90 Years of Mickey thing,’ I muse, jotting it down. Xehanort thrusts his Keyblade in my face. I wonder whether I want to know what that means; fortunately, he expounds unprompted. ‘As fortune has it, I discovered a satisfactory recipe elsewhere in the depths of darkness,’ Xehanort muses. I assume this is a metaphor for I found one on the Internet. Of course, I think, the first step in any simple and reasonable plan. I wish I were surprised that Xehanort’s shopping routine involves time travel. 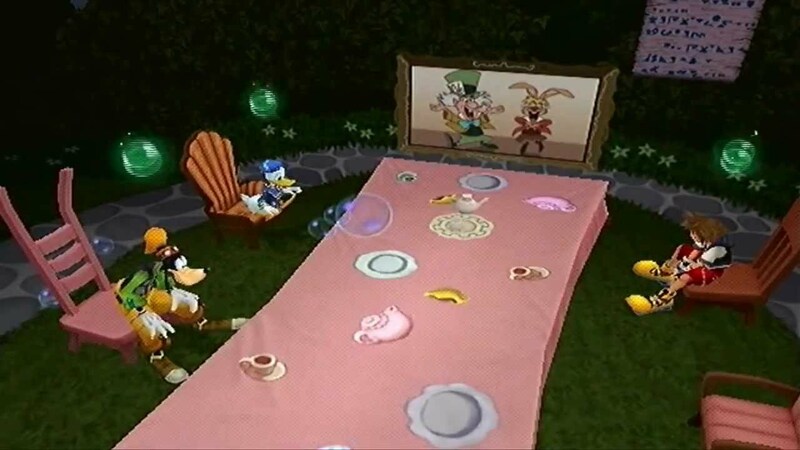 Destiny Islands is a good choice, though: Sora collects those same ingredients in KH1‘s first chapter. ‘I sent the original Organisation XIII against its advance. Each of them fell, however…’ He sounds displeased. ‘Seems like enormous overkill,’ I can’t help saying. He looks pleased at the compliment. ‘You forged the X-Blade? !’ I demand. ‘And the news that Thel Vadam was also asked to contribute a cake to the party?’ I ask. Master Xehanort’s eyebrow raises just a little. ‘I have seen very many worlds; all speak the name of Xehanort. Yet on none of them is the Arbiter mentioned. I feel no need to acknowledge Thel Vadam.’ He sits back in his throne, steepling his fingers with an odious grin. ‘Well, that’s nice,’ I mutter, and pack up my things; Xehanort leans forward, staring at me. Before I go, once again major props to Ian at Adventure Rules for hosting this event. The first year was one of the coolest things I’ve been part of, and I am incredibly hyped to be involved again, this time as a contestant rather than a judge. While I’m on the subject, thanks and good luck to all three of our esteemed judges, who I know from experience have a difficult job! I have faith they will do brilliantly. Also, reiterated and multitudinous thanks to Luna over at GamersUnitedGG too – and make sure to go read her entry! It’s sure to be supremely, superlatively, spectacularly smashing, and I can’t wait to see what she comes up with. I really like this format you chose, it’s awesome getting to see Xehanort at full ridiculousness through the eyes of a more relateable/neutral interviewer. And of course any post with puns is a good post in my book. Excellent job! Honestly, that pun was the first thing I came up with, then I worked outwards from there! I love how you have presented this. It comes through so well. Great Post! There were sooo many elements that I loved. I love the interview approach! Very inventive and a FIRST in the Blogger litz competition so congrats! Rofl looking up Teri Mae was brilliant! Her recipes are awesome and it was a great show of respect to her blog. I loved how you separated your heart and journeyed to visit your other selves to find ingredients. It’s very plausible . I’ve never played KH (I know a tragedy) but I can get a glimpse of Xehanort’s personality from this post. Good luck and thanks for the shoutout! Thank you too! I’m pretty proud of what we both did – your story was great and I think we’ve done the contest proud! I love how you presented everything and the interview format is quite clever! I don’t know much about Kingdom Hearts, but it is a series I plan to play more of someday (if Lightning is in KH3 that may up it on my priority list *cough*). I also read Xehanort in Leonard Nimoy’s voice, haha. And Xehanort is very smart to check Teri’s website! Great job! Good luck Friday. I’d be fairly surprised if your shero doesn’t make some sort of appearance, but we’ll see! Thanks for the love – you and Athena were a hard act to follow, but I think Luna and I have both done our bestests! Match two of Blogger Blitz: Black Sheep is in full swing, and that means our villains are slaving over hot ovens in the Great Baddie Bake Off! 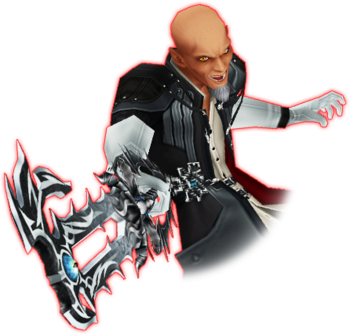 If you missed Overthinker Y’s entry interviewing the mastermind Xehanort and his escapades, go to his blog and check it out! Results will be posted Friday, August 10th, 2018, at 9 AM EST. AHAHAHAH!!! I legit died! Perfectly captured the essence that is Master Xehanort. This was perfect. Thanks for the vote of confidence! I’ve said it before (probably to the point that it sounds like I doth protest too much, but there it is) but I really don’t mind whether I get to go on to more rounds or not – I just really like the event and want it to be super awesome, so I’ll do my best and if someone does better then I’ll be very happy if they make it through! Luna really did do a great job, so check out her post – and of course Athena and LightningEllen just went ridiculous in week one. It’s already been a ludicrously good event!